USA Insulation franchise opportunities in Oklahoma City, Oklahoma! Are you searching for the perfect franchise opportunity? If so, we have just the solution for you: an insulation franchise in Oklahoma City, Oklahoma! Known for its Wild West days, Oklahoma City—or OKC—is a vibrant city full of culture and deep roots. As an insulation franchise owner, you can reap the benefits of not only having a unique business but being part of one of the greatest cities in the Midwest! In fact, Oklahoma City was ranked #1 in Entrepreneur’s 25 Cities Worth Moving to If You Want To Launch a Business in 2015. Oklahoma Small Business Development Centers (SBDC) – SBDC is committed to growing Oklahoma’s economy one business at a time by providing entrepreneurial and small business management advisement at no cost. StarSpace46 – OKC’s community hub for all things entrepreneurial and tech. REI Oklahoma – Working closely with lenders statewide, REI helps businesses thrive by zeroing in on person-to-person outreach while helping entrepreneurs navigate through business resources. Looking for more info on the USA Insulation franchise opportunity in Oklahoma City? Complete the form below. Why open a USA Insulation franchise in Oklahoma City? With 58% of homes owned, home insulation services are sure to be in demand. Cost of Living is 1.4% below the national average, attracting new homeowners. The median household income is $55,000. 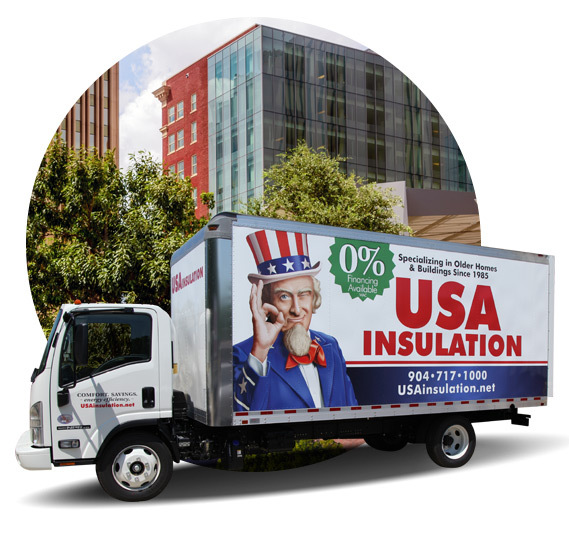 USA Insulation prides itself on offering the best home insulation services on the market and with a median home price that’s lower than the national median, Oklahoma City has the best opportunity to attract new and existing homeowners. Discover what other benefits a USA Insulation franchise can bring to you and your community!